If you a health nut coming here for a super healthy organic all natural muffins, you are on the wrong blog post. 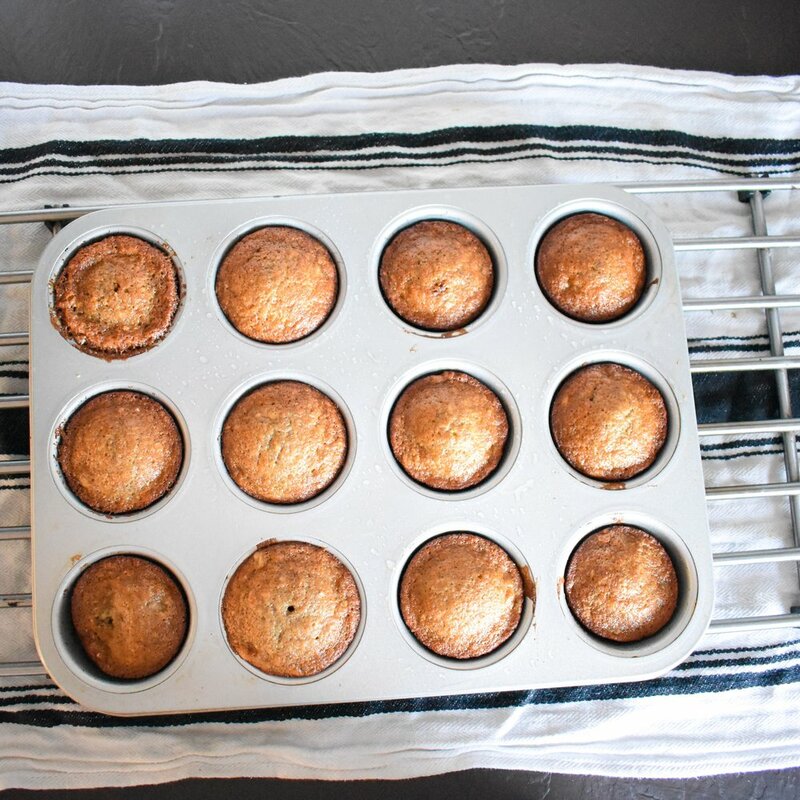 HOWEVER - if you are here for a super yummy banana muffin recipe for treats for your kiddos or to bring to your next party than this is your recipe! This is actually Hub’s recipe and it is a struggle not to eat them all at once! This recipe is also my favourite as I am not left with 10,000 dishes like every other baking experience! 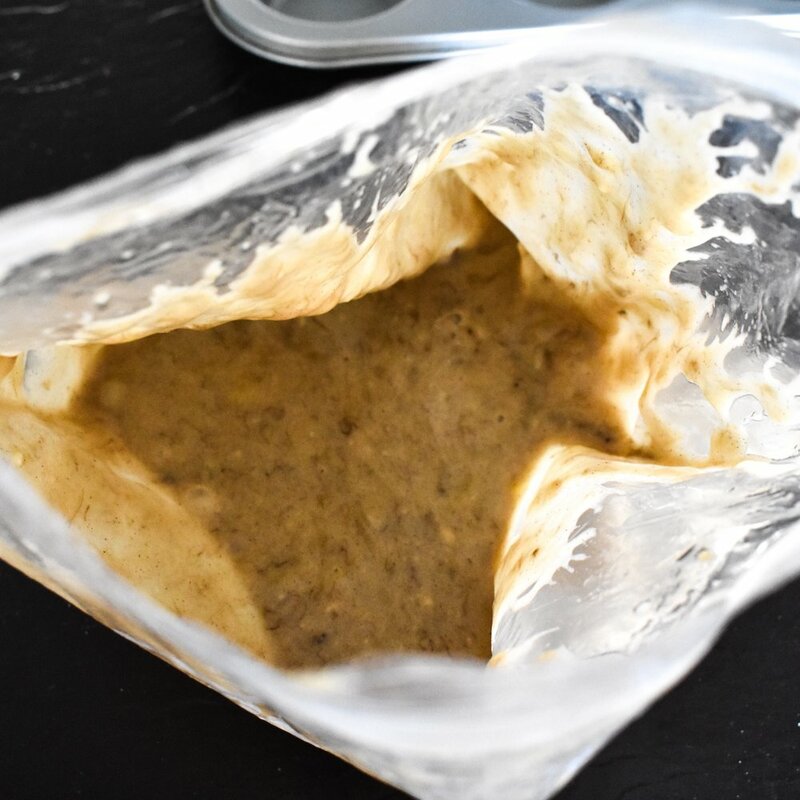 This recipe requires one freezer bag and a muffin pan, and a few measuring tools! Hardly any dishes and super easy to make! First take your bananas and put them in a large freezer bag. Start to mush them and squish them with your fingertips until squished and separated. * If you had removed them from the freezer which I typically do, and there is liquid in the bag from the bananas, do not drain it! The extra juice adds so much flavour and moisture to the muffins! And that’s it! I totally didn’t have muffin tins when I went to make these but I just oiled the pan and it came out quite well - but I do recommend muffin cups! My kids love these and everyone that’s had one falls in love with them. This is also a super fun and easy recipe to make with the kiddos, so if you are looking for a fun indoor activity this one is great. Happy baking!